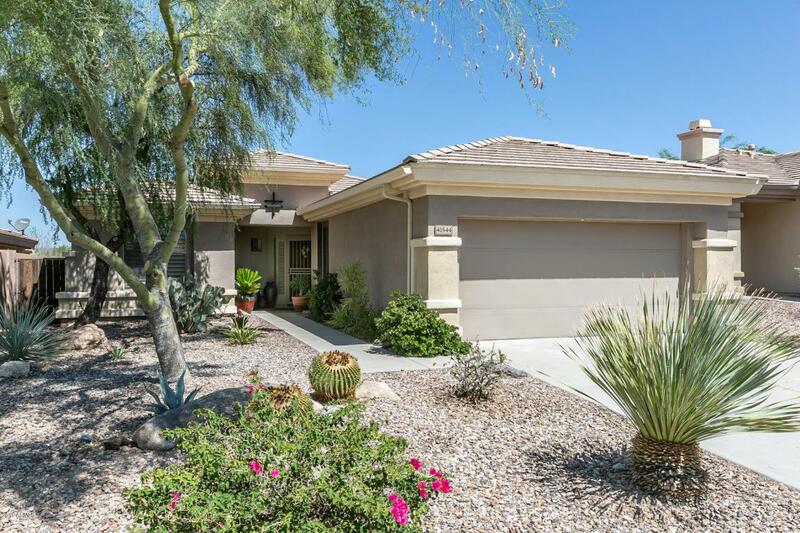 Views in the award winning gated community of Anthem Golf & Country Club! 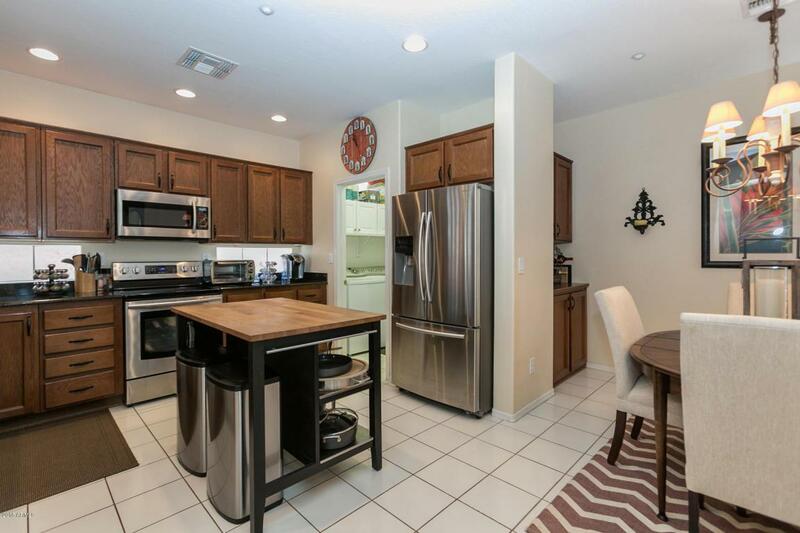 Two bedroom plus den in this popular open floor plan featuring, chefs kitchen with granite counters and stainless steel appliances. 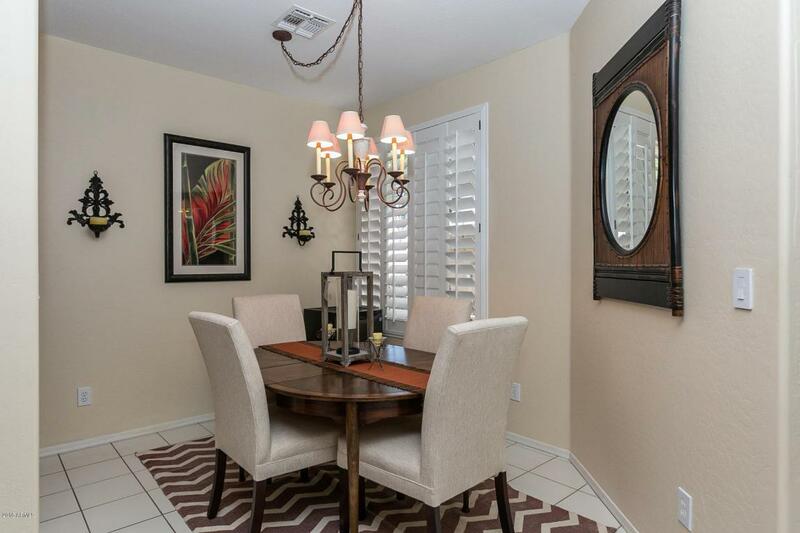 Breakfast bar, dining nook, great room, master bedroom with en suite and walk-in closet, dual sink vanities, separate soaking tub and shower, interior plantation shutters, sunscreens, reverse osmosis drinking water & water softener system. 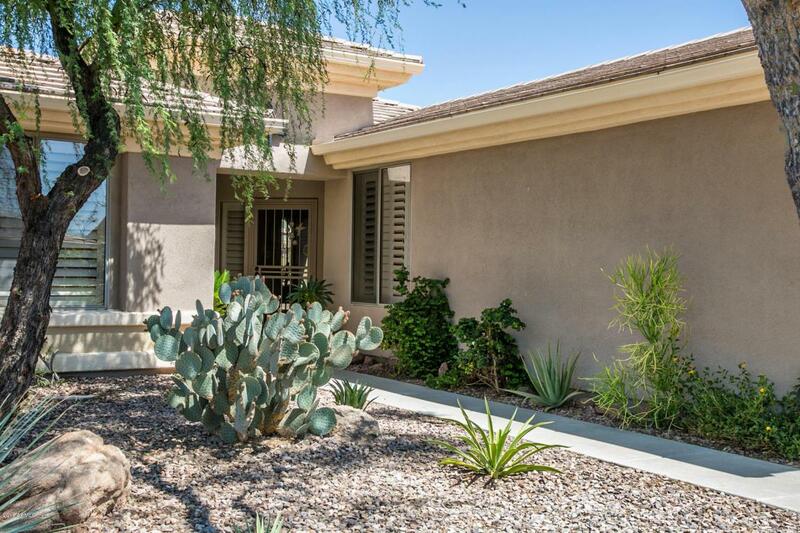 Resort backyard with extended paver patio featuring automated awing to enjoy the gorgeous view of the golf course and lush desert surroundings. Outdoor entertainment area with built-in gas BBQ grill and gas fire pit. Club amenities include two clubhouses, dining facilities, golf courses, tennis, workout nestled into the Sonoran foothills.